New York Times bestselling author Carrie Ryan and John Parke Davis transport readers back to the boundless world of the Pirate Stream in this engaging and exhilarating sequel to the highly acclaimed The Map to Everywhere that is equal parts adventure, humor, and heart!When the magical waters of the Pirate Stream begin flooding Marrill's world, the only way to stop the destruction is to return to the Stream and find the source of the mysterious Iron Tide. 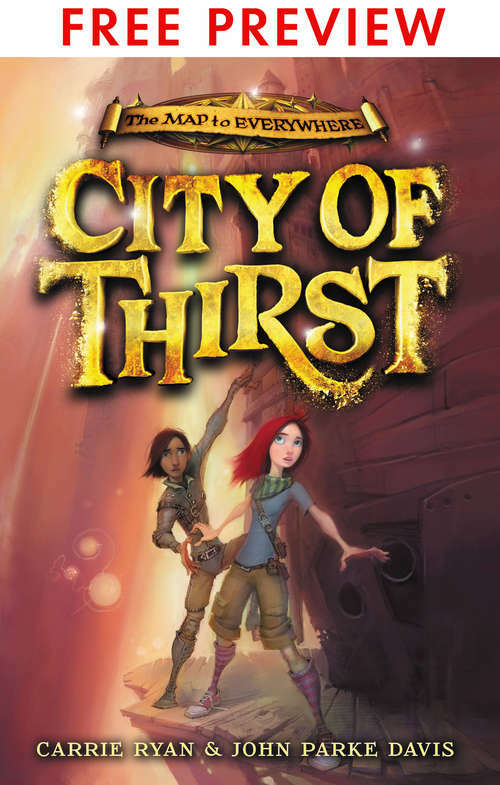 Reunited with her best friend Fin--who has been forgotten all over again--Marrill, her disbelieving babysitter, and the Enterprising Kraken crew must make the treacherous trek to the towering, sliding, impossible world of Monerva and uncover the secrets of its long-lost wish machine. Only there can Fin wish to finally be remembered. Only there can Marrill wish to save her world and all the people she loves. But to get everything they've ever wanted, Marrill and Fin may have to give up on the most important thing they already have: each other.